When do the commercial vehicle driver standards apply? Professional driving – why is your health important? Who makes the rules about whether you are well enough to drive? What if your medical condition is only temporary - can you still work? 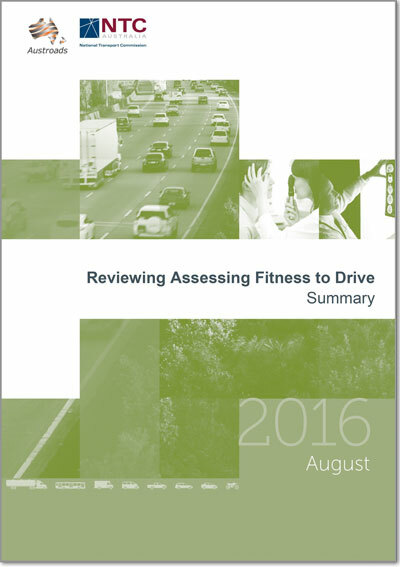 How will your doctor assess whether you are fit to drive? What happens if you don't follow your doctor's advice? Will your doctor notify the Licensing Authority or employer if you are not well enough to drive? Are you concerned about a work colleague's safety on the road? How might you help them? Generally, the commercial vehicle driver medical standards apply to drivers seeking authority (or already authorised) to drive heavy vehicles, public passenger vehicles or vehicles carrying bulk dangerous goods. These standards are more stringent than the private standards and reflect the increased risk associated with motor vehicle crashes involving such vehicles. Drivers of 'heavy vehicles' i.e. those holding or applying for a licence of class MR (Medium Rigid), HR (Heavy Rigid), HC (Heavy Combination) or MC (Multi-combination, refer Table 1). Drivers applying for an authority /already authorised to carry public passengers for hire or reward (bus drivers, taxi drivers, chauffeurs, drivers of hire cars and small buses etc). Drivers applying for an authority / already authorised to carry bulk dangerous goods. NOTE: A person who does not meet the commercial vehicle medical criteria may still be eligible to retain a private vehicle driver licence. All of these can be affected by the driver's physical and psychological health. Commercial vehicle driving involves additional demands due to the vehicle itself (size, load etc), the responsibility for passengers, the demands of work schedules, the distances travelled and so on. Your health is therefore important for public safety and for your own safety on the road. The rules about health and driving are developed by medical experts and are agreed to by all Driver Licensing Authorities. Neither your doctor nor your employer makes the rules. Your doctor provides advice about how your particular health condition might affect your ability to drive safely and how it might be managed. The Driver Licensing Authority always makes the final decision about your licence status and will consider the advice of your doctor as well as other factors such as your accident history and the type of vehicle you drive (for example a truck, car, or a public passenger vehicle). Many temporary conditions will prevent you from driving. For example, following an anaesthetic your doctor will advise you not to drive for 24 hours or more. An injury, such as a broken leg, may also prevent you from driving. In these types of circumstances your doctor will advise you about the need to restrict your driving in the short term. In most cases your licence status will not be affected and you will not need to report to the Driver Licensing Authority. When assessing your ability to drive safely, your doctor will consider your physical and psychological health. 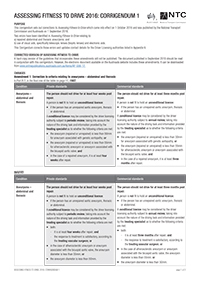 He or she will refer to a book of medical standards which is used by all doctors throughout Australia and which describes specific requirements for various diseases and conditions. You can view these standards on this website. Sometimes it can be difficult to make an assessment and your doctor may refer you for a practical driving test or to a specialist. If you continue to drive despite your doctor's advice and you do not report to the Driver Licensing Authority, you are not fulfilling your legal responsibility. If you are involved in a crash under these circumstances and it is found that your health condition was a contributing factor, you may be prosecuted and your insurance may not be valid. If your doctor is aware that you are continuing to drive and feels that your driving is a serious risk to you and other road users, he or she may feel obliged to report directly to the Licensing Authority. 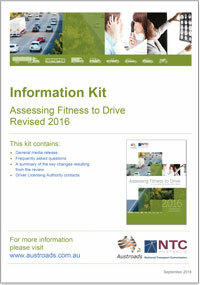 Will your doctor notify the Driver Licensing Authority or employer if you are not well enough to drive? As the relationship between you and your doctor is a confidential one, your doctor will not normally communicate directly with the Driver Licensing Authority. He or she will provide you with advice about your ability to drive safely as well as a letter or report to take to the authority. Doctors also have an obligation to public safety so if your doctor believes that you are not heeding advice to cease driving he or she may report directly to the Driver Licensing Authority. In some States/Territories the doctor is obliged to report directly to the Driver Licensing Authority (South Australia and Northern Territory). If you know someone whose health might be affecting their ability to drive safely, it is important to get them to talk to their doctor. It may be that, with appropriate treatment or driving restrictions, they can continue to drive on a conditional licence. If they are unwilling to discuss this with a doctor, you should contact the Driver Licensing Authority who will deal with the matter confidentially. You might also consider advising your supervisor about concerns for fitness for duty.